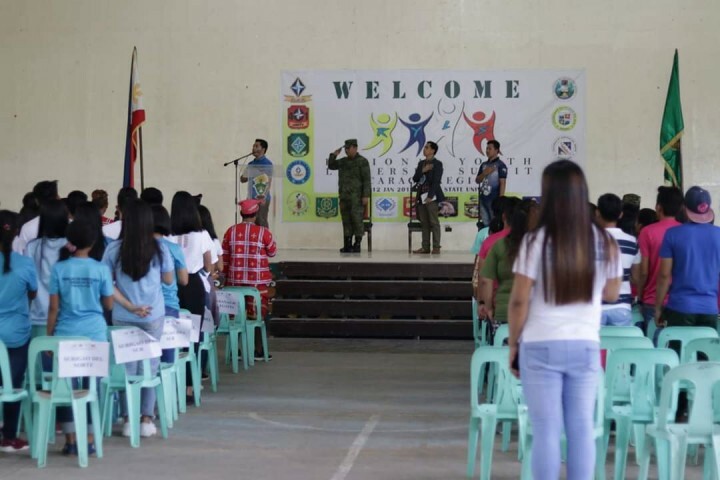 BUTUAN CITY, Jan. 17 (PIA) - In time with the conduct of the Regional Youth Leadership Summit held here, Roel “Datu Igtudan” Gano of the Manobo tribe based in Agusan del Sur shared how his life has changed when he surrendered to the government and experienced life in the mainstream society. Datu Igdutan is one of the 13 members of the Mindanao Indigenous Peoples Youth Organization (MIPYO) who has been going around places to intensify their advocacy with other youths against the terrorist New People's Army (NPA) group. Now that he enjoys living a life with his family free from causing harm to other people, Datu Igtudan said he is happy that he was able to see his tribesmen during meetings and other big events in the regional and national levels. “Ang tinud-anay sa dihang ania nako sa gobyerno, nindot na akong kahimtang. kay ngano, makuyog nako ankong katribu, ma-invite nako kung naa mi meeting para makabalo pod sila. So dakong kalahian adtong tua ko sa bukid sauna ug karon nga naa ko sa MIPYO (The truth is, right after I surrendered to the government, I experienced good life and I was able to bring my tribesmen with me during meetings so they will also learn new things as well. Life in the mountain is very different compared with my life now with the MIPYO),” explained Datu Igtudan. Datu Igtudan further stressed that the NPAs have long been abusive with the indigenous peoples. The NPAs use them in their extortion activities, killing of innocent people and even in the conduct of senseless rallies on the streets, he said. He added that he could not forget how he and his relatives suffered the ruthless acts of the NPAs and hoped that it will serve as a lesson to all the youths. “Ang tan-aw nako nga matabang namo sa among grupo nga among agnihon ang ubang tribu kadto nakasulod ug wala pa kasulod sa NPA nga magbalik-loob sa gobyerno ug magminatarong ang uban nga wala pa kasulod sa NPA, ug manginabuhi og tarong (I think our organization could help by convincing other youths especially those who already joined the NPA to surrender to the government. While those who were not yet exposed to the ruthless acts of the NPAs, they should choose to live rightfully and peacefully),” said Datu Igtudan. BUTUAN CITY, Jan. 17 -- Fifteen districts of Butuan City Division allied with the Department of Science and Technology (DOST) Caraga will be the beneficiaries of the Science and Technology Academic and Research-Based Openly-Operated Kiosks (STARBOOKS) that provide access to Science and Technology information and digital learning materials to students and teachers, principals, school IT personnel and teacher librarians. During the STARBOOKS orientation held here recently attended by 130 participants from 40 schools of Butuan City Division, Division Librarian II Imie Concepcion Valdez described the roles of school principals, IT personnel and teacher librarians in the implementation of the program. “We invited specific people for we know they will directly affect the implementation," Valdez said. "The principals will give the ‘go’ signal, while the school IT personnel will handle the technical work and teacher librarians will market the technology and monitor utilization of the materials,” she added. The installation of STARBOOKS software will be scheduled after consultation with qualified schools in Butuan City. Additional training on the maintenance of the system will also be provided to school IT personnel and librarians. Dr. Bebelyn Corvera, Curriculum Implementation Division Chief, expressed her support in expanding the scope of the program in Butuan City. “STARBOOKS is suitable for the curious children today. 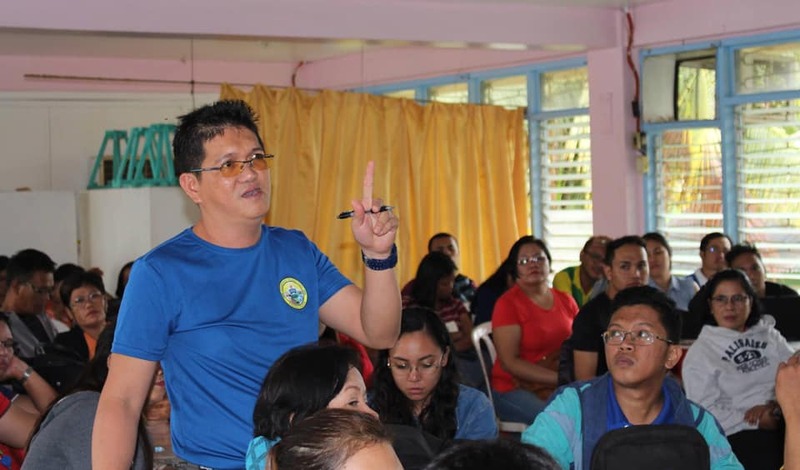 It is only a matter of how we will start but if we take a step, there will be a positive effect on the student’s learning environment,” Dr. Corvera said. Local government units, non-government organizations and educational institutions can avail of STARBOOKS. It is a technology developed by Science and Technology Information Institute (DOST-STII) - a “library in a box” that contains thousands of digitized S&T resources in various formats, text, and video/audio. Aside from providing information, it aims to create interest among youngsters to enroll in S&T courses and encourage entrepreneurship and research. 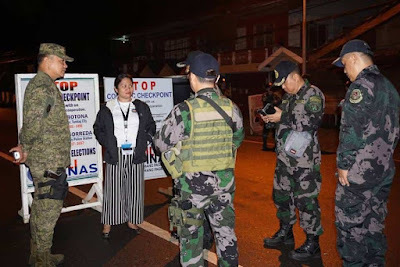 TANDAG CITY, Surigao del Sur, Enero 17 (PIA) – Nagsanib pwersa ang Philippine National Police (PNP) at Commission on Elections (COMELEC) sa pagpapatupad ng checkpoints sa probinsya. Ayon kay Police Senior Inspector Joemel Maquiling, hepe ng Tago Municipal Police Station, naging epektibo ang itinatag na checkpoint na makikita malapit sa Surigao del Sur State University (SDSSU), kung saan hanggang sa pangatlong araw ng pagpapatupad ay wala pa itong naitala na may lumalabag dito. Naniniwala naman si Atty. Riza Ann Donalyn Constantino, Provincial Election Supervisor, na malaki ang naitutulong ng pagpapatupad ng COMELEC checkpoint para mapanatili ang kapayapaan at malaki ang naitutulong nito sa pagsugpo ng iba’t ibang krimen sa probinsya. Sinuportahan naman ito ng Police Provincial Office, na pinamumunuan ni PSSupt. Francisco Dungo Jr., na hanggang sa kasalukuyan ay wala pang naitalang nahulihan o anumang paglabag sa lahat ng pinatutupad na COMELEC checkpoint sa buong probinsya. BUTUAN CITY, Enero 17 – Gipalabang sa Sangguniang Panlalawigan sa Agusan del Norte atol sa sesyon regular bag-uhay pa lamang ang Proposed Provincial Resolution No. 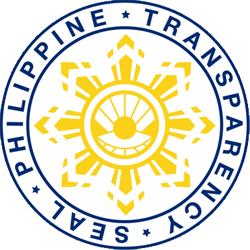 405-2018 nga nag-aprobar sa Provincial Governance Reform Roadmap (PGRR). Ang maong roadmap gisagop ug giduso sa Provincial Development Council (PDC) pinaagi sa PDC Resolution No. 8, series of 2018. 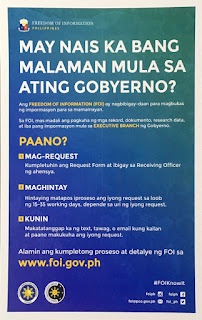 Sa sulat ni Gobernador Angel Amante-Matba ngadto sa Sangguniang Panlalawigan, gihangyo niya ang mga bokal nga dalion ang pag-sagop sa naasoyng roadmap kay hapit na ang deadline pagsumite niini didto sa Department of the Interior and Local Government. The Philippine Atmospheric, Geophysical and Astronomical Services (PAGASA) has debunked the claim of Dr. Mahar Lagmay, UP NOAH Executive Director, that the agency allegedly issued "wrong forecasts and late warnings" during the passage of Tropical Depression Usman. Dr. Lagmay alleged in his Facebook Account post the wrong forecasts on TD Usman has caused a number of deaths due to landslides and floods particularly in the Bicol Region. He said that PAGASA issued a moderate to heavy rainfall forecast in Bicol on December 28 and 29 2018 instead of intense and torrential rainfall. On this, PAGASA Administrator Vicente Malano countered such claim and clarified that the agency defines moderate to heavy rainfall in its Severe Weather Bulletins (SWBs) as 24-hour daily accumulated rainfall of 60 to 180 mm and more than 180, respectively. In this premise, the December 28 to 29 PAGASA forecasters had sufficiently warned that the 24-hour accumulated rainfall of moderate to heavy would trigger massive flooding and landslides. Moreover, Dr. Malano emphasized that PAGASA provides localized rainfall and thunderstorm warning in near-real time through its PAGASA Regional Services Division (PRSD). In the case of TD "USMAN," the Southern Luzon PRSD based in Legazpi City issued a separate color-coded Heavy Rainfall Warnings as supplemental to the HRWs stressed that there was an immediate threat of floods and landslides indicative of emergency actions. He also explained that although PAGASA downgraded TD Usman into a Low Pressure Area (LPA) upon landfall, PAGASA Central Office and the SLPRSD reiterated their warnings of flooding and landslides as moderate to heavy rainfall would still persist. Dr. Malano appealed to some concerned sectors to be more careful in the issuance of sweeping statements that may damage the credibility of PAGASA as a warning agency. "The men and women of PAGASA remain fully committed to their mission of providing reliable and accurate weather-related information," he said.